Many importers are aware that the United States, Canada, and Mexico have negotiated a replacement treaty for the North American Free Trade Agreement (NAFTA). The new agreement is called the United States-Mexico-Canada Agreement (USMCA) and was announced by President Trump on October 1, 2018. 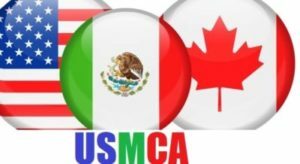 Under the USMCA the major preference criteria categories used under the NAFTA will remain, for example under USMCA Chapter 4.2, preference criteria A (Goods Wholly Obtained or Produced), B (Goods Satisfying the Applicable Product-Specific Rules of Origin), etc. However practitioners that utilized the less-commonly used preference criteria D, E and F should carefully review the USMCA rules as a certain number of these provisions have undergone changes. Further the fundamental concepts of Tariff Shift, Regional Value Content, Net Cost, Transaction Value, Indirect Materials, Intermediate Materials, Self-produced materials and De Minimis also remain. However, many of the product specific rules of origin (i.e., the HTSUS Note 12(t) rules) have been revised, especially in the automotive sector, where NAFTA practitioners will need to review these rules and determine if any changes have occurred that might impact their particular products. Also remaining of paramount importance is that USMCA practitioners preparing certificates of origin obtain proof from outside suppliers that their products qualify under the USMCA. As before, the best way to do this is to obtain a USMCA certificate, or other written certification, from your suppliers when preparing your own certificates. The only difference under USMCA will be that there will no longer be a prescribed form for certification as there is under NAFTA but instead the new certification must include certain data elements. In addition, another essential element of your NAFTA compliance efforts that has not gone away is the requirement to maintain detailed records related to the USMCA claims, as well as the qualification process. Importers making claims under the USMCA will be required to obtain and maintain USMCA certificates prior to making a USMCA claim, and when completing a USMCA certificate to accompany an export shipment. The certifying company must maintain detailed records sufficient to permit cross-border auditors to validate any USMCA claims and validate the USMCA certificates provided. New Provision Related to “Cores” under Article 4.4 – Treatment of Recovered Materials Used in the Production of a Remanufactured Good. Under the NAFTA there was recurring difficulty and confusion regarding the treatment of “cores” that were reclaimed from used merchandise (for example a water pump casting) and used in the production of remanufactured articles. Article 4.4 provides more clarity that should assist producers of remanufactured articles. Given our current political climate there is no guarantee that the USMCA will be ratified or may possibly undergo further changes, however from a hands-on NAFTA practitioners standpoint there will be many elements of the USMCA that should remain familiar. At the same time, practitioners need to understand the changes and incorporate these into your compliance processes as applicable. This is especially true for any changes to the rules of origin that may apply to the specific products you need to certify, as these will determine whether your future USMCA claims are made properly and will withstand an audit.